How can business impact of customer experience be measured? 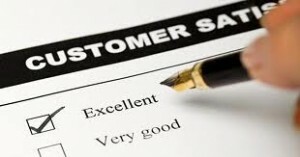 An exhaustive report of Forrester (The Business Impact of Customer Experience, 2014), explains and quantifies the impact of good or bad customer experience on business performance. Within an environment of permanent communication and networks, both good and bad experiences spread out very quickly. This is why any business must offer not only product excellence, but take very much care of its relation with customers. Teléfono Permanente, doing business for over 40 years as Contact Center, is the ideal partner for any task concerning customer relations. To guarantee excellent service we are glad to count on specialized staff, many of its members working for us many years ago and with sound experience. On the other hand our service is based on up to date technology, so we are prepared to give swift response to customers’ requirements.